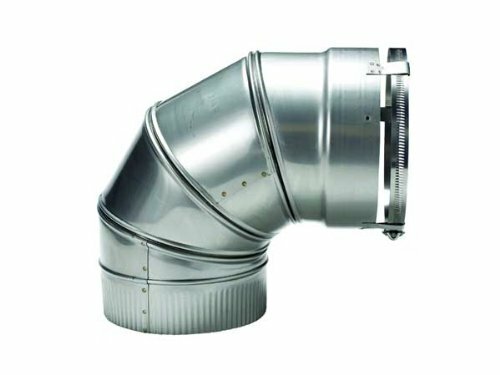 Our Adjustable 316 stainless steel flex elbow is good for all fuel applications. 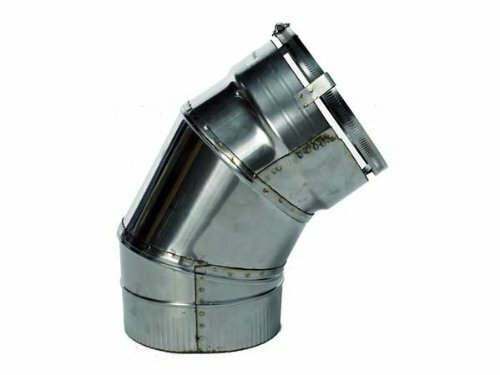 It is available in 3" - 8" diameters and in 15, 30, 45, 60 and 90 degree angles. 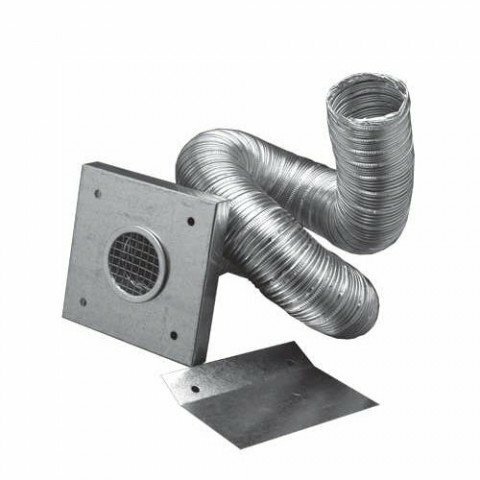 For use with FLEXIBLE chimney liners. Complete 4" Outside Air Kit with Collar, Hood and 3' Flex. 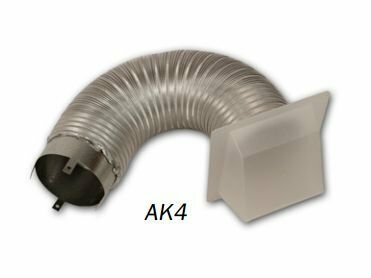 Features: Type: Air Kit. Completed with Collar, Hood and Flex. Specifications: Flex: 36". Air Kit: 4". 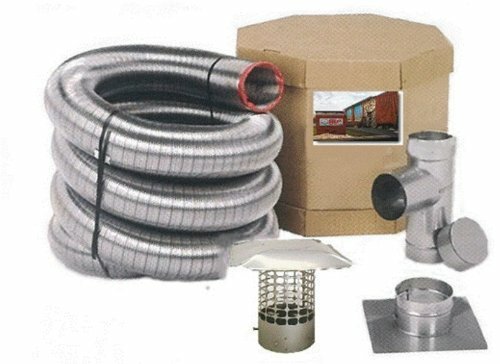 What Type Of Chimney Liner Should You Use?